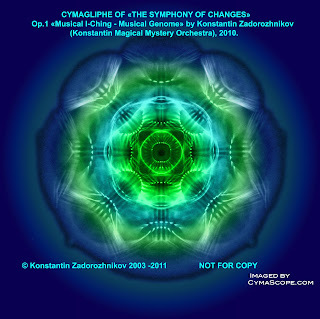 Very interesting projects - book, CD, research by Konstantin Zadorozhnikov on cimatics/cymatics and music. 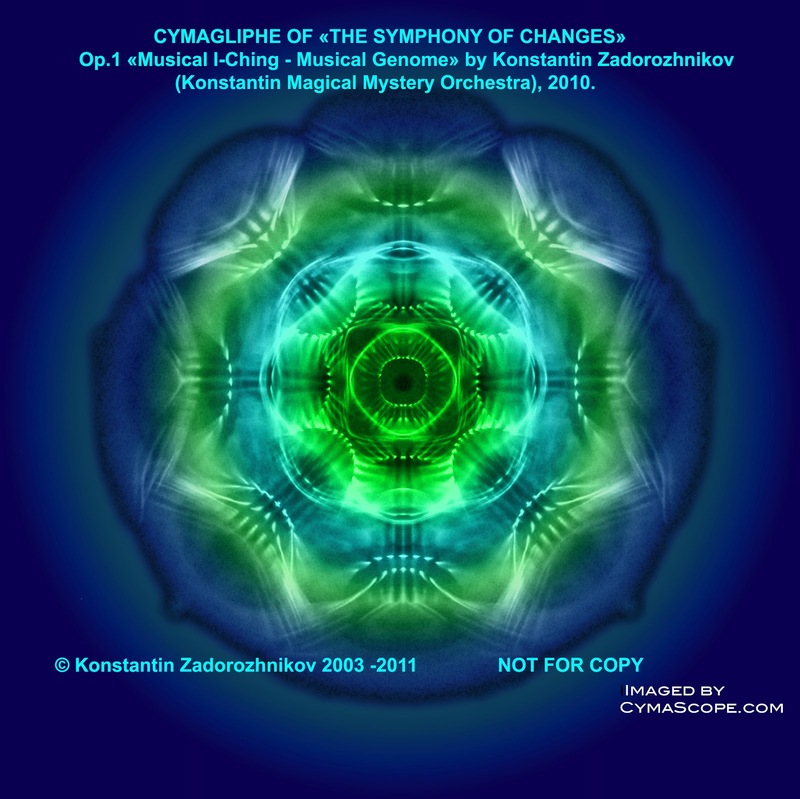 Konstantin Zadorozhnikov composes music according to i-ching, and used cymatics to demonstrate the beautiful patterns this creates. However, this kind of music and cymatics is used in a muscial feng sui to provide a type of healing in a home. "Based on his discoveries, he created the project musical matrix, which gained fame through a series of "Symphony of Change", executable "Konstantin Magical Mystery Orchestra". This music is unusual is the fact that mathematically corresponds exactly to the universal matrix of I-Ching, which is called "Chinese Bible" and "Ancient computer. Scientifically proven and compliance of the matrix system of genetic coding. Creating a "musical mandalas - the most important way of musical Fee Shui. Using the work "Symphony of Change" is not necessary to carry out complex calculations to specify the acoustic parameters, since the musical matrix, as the system I Ching, is universal, that is, to contain a coded information about all objects and phenomena of the universe. "